Mountain Pine Beetle (MPB) are a little know resident of Cypress HIlls Interprovincial Park - Alberta but they can have a big impact on the health of our Lodgepole Pine forests. 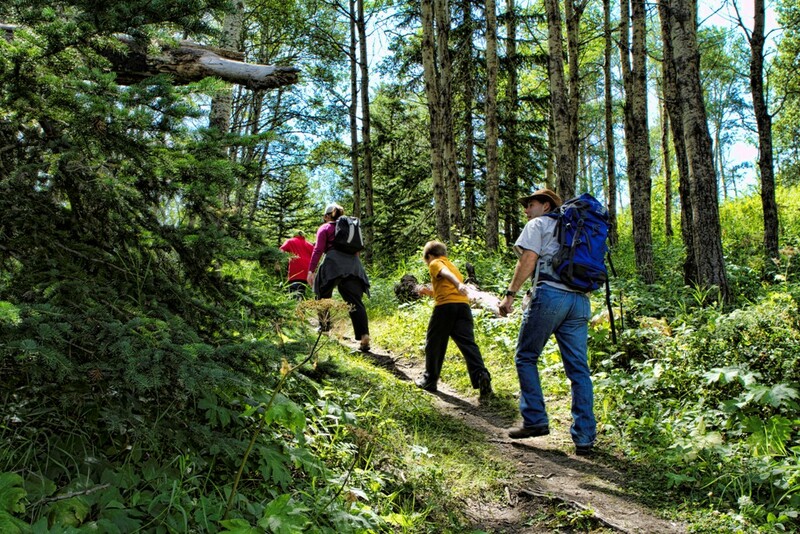 Alberta Environment and Parks Crews are currently working on eliminating MPB infested trees throughout Cypress Hills to prevent further infestations. 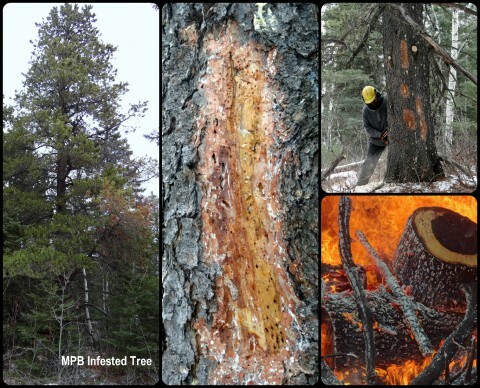 How do MPB infest pine trees? MPB attack and kill mature pine trees (approximately 80 years and older) by tunneling through the outer bark of the tree and constructing vertical galleries in the inner bark (phloem). Eggs laid by the females hatch into larvae and overwinter beneath the bark. As the larvae tunnel through the inner bark, they disrupt water and nutrient flow within the tree. By early July, adult beetles emerge from the tree and locate a suitable nearby tree to infest, and the cycle continues. So how do we combat a MPB infestation in Cypress HIlls? Aerial surveys are conducted each summer to identify areas of infestation and individual trees within these areas are marked. Once there is enough snow on the ground, Alberta Environment and Parks crews return to the site and cut the infested trees down, buck them into smaller pieces and burn them. 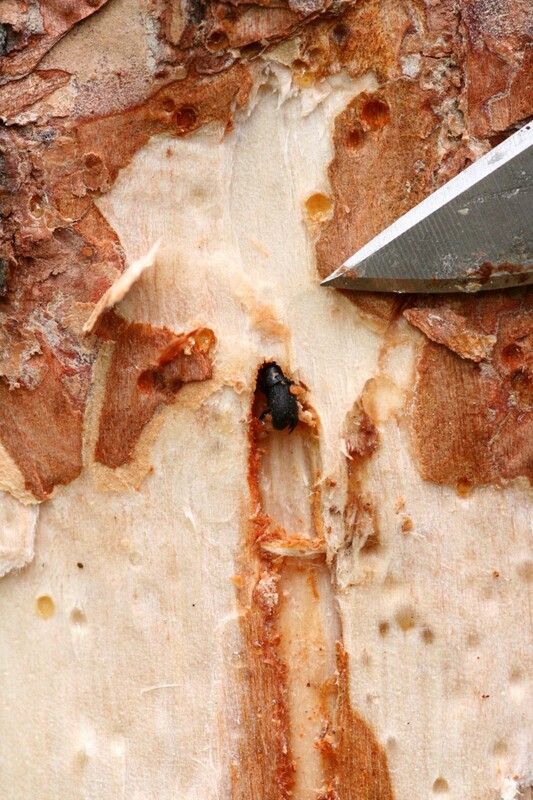 To ensure beetles do not complete their lifecycle all of the bark must be completely burned off. This management strategy helps to contain infestations while also minimizing their spread. Are MPB only a concern in Cypress HIlls? No, currently more than 1.27 million hectares of forest across Alberta have sustsained some level of MPB damage. For more information on how to identify trees infested by Mountain Pine Beetle and what you can do to help, visit Alberta's Mountain Pine Beetle Site. Take a step outside on September 27th and watch something that won't happen again until 2033...the Super moon and Lunar Eclipse. Click the link below to find out why this is a rare event! Medicine Hat and the Cypress Hills are well know for the amount of sunshine they get. 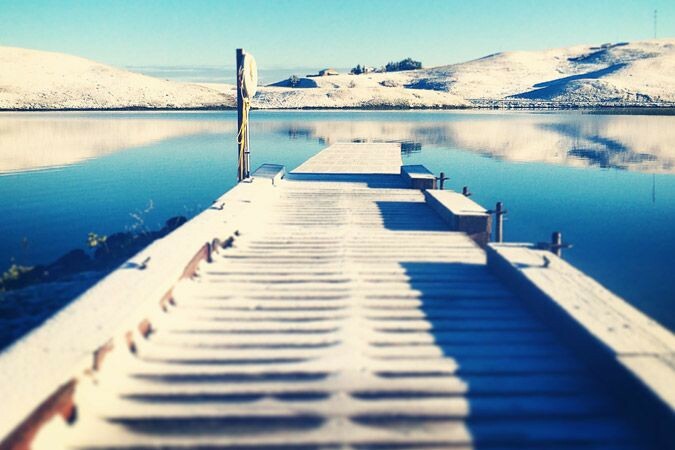 Canadian blogger Leigh McAdam recently visited the area and this is what she thought! You can follow her at hikebiketravel on twitter, instagram, facebook and at www.hikebiketravel.com. 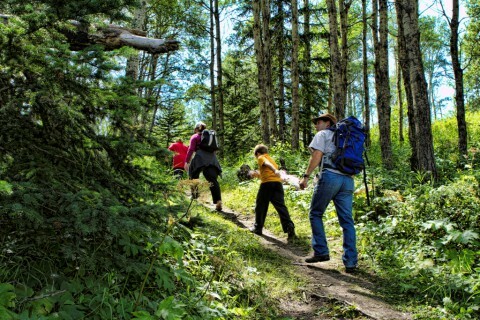 joint the exploration of natural areas and include Cypress Hills Provincial Park.